Residents of Coral Springs for 20 years, Ed and June Hoffman moved into their first house before their son Eddie,17, was born. Brothers Addison, 14, and Rowan, 11, complete the family circle. They all enjoy the sunshine and ease of Coral Springs’ family-friendly amenities, especially the exceptional parks, recreation, and sports programs. Eddie is a junior at Pine Crest School in Fort Lauderdale, where he especially enjoys classes in Government and Politics and European History. Addison is a freshman at St. Andrew’s School in Boca Raton. His favorite subjects are Geometry and Latin. Rowan attends the 5th grade at Coral Park Elementary School in Coral Springs. His favorite subject is math. Ed is a Senior Vice President and Senior Estate Specialist with a large bank, where he has been for 18 years. June is an equity partner with a full-service Florida law firm where she has worked for 23 years. All three brothers are competitive athletes. Eddie is a rower year round for the Pine Crest School’s Varsity Men’s Crew Team, which he joined as a freshman. He has rowed with the “boys in the boat” in the Head of the Charles in Boston, States, Scholastic Nationals and Club Nationals for Penn AC Junior Gold. Prior to discovering his love for rowing, he played tackle football with the Parkland Rangers, basketball in the Coral Springs Basketball Club, Coral Springs soccer, North Springs Little League baseball and golf. He likes to watch Jeopardy and prank his brothers. Addison is passionate about tackle football, basketball, and baseball. He currently plays for his high school teams and has played all three in recreational leagues in Coral Springs and Parkland for almost 10 consecutive years, including Parkland Rangers, North Springs Little League, and Coral Springs Basketball Club. He also plays classical guitar and enjoys fantasy football and following the stock market. He is a loyal New England Patriots fan. Rowan has played Parkland Rangers tackle football, Coral Springs soccer, Coral Springs basketball and North Springs Little League baseball for the last six years. His passion is basketball and he’s happy to be a teammate playing travel basketball with Triple Threat Elite. Rowan is a great communicator and enjoys being on his school’s debate team. He is a huge Minnesota Vikings fan. 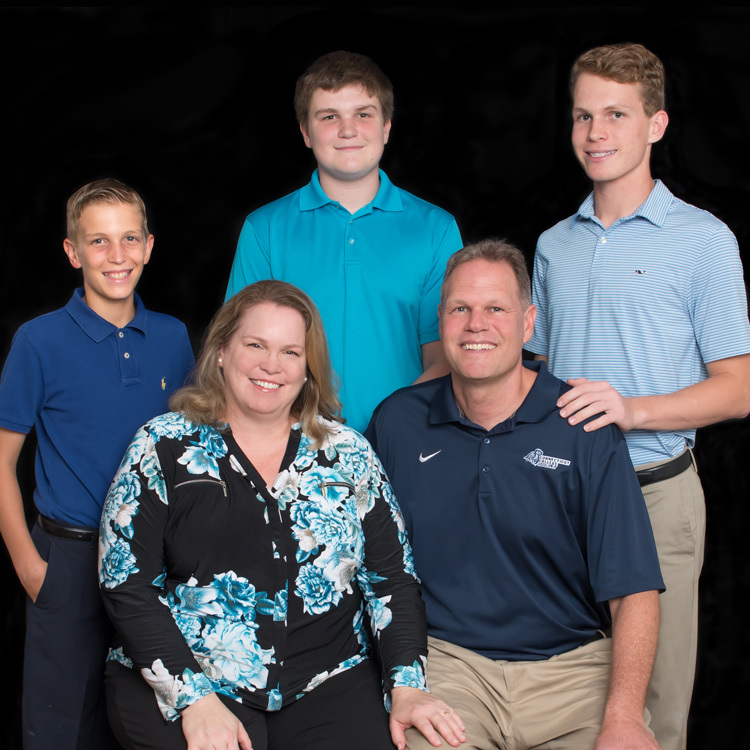 The Hoffmans always look forward to attending crew regattas and kids sporting events, visiting with extended family from the Northeast, and escaping to Cape Coral in Southwest Florida for boating, fishing and relaxing. When they aren’t off on a sporting or vacation adventure, the Hoffman family attends St. Andrew’s Catholic Church in Coral Springs.